Seneca Grade School celebrates Veterans Day and honors those who have served and those who serve currently, with great honor. 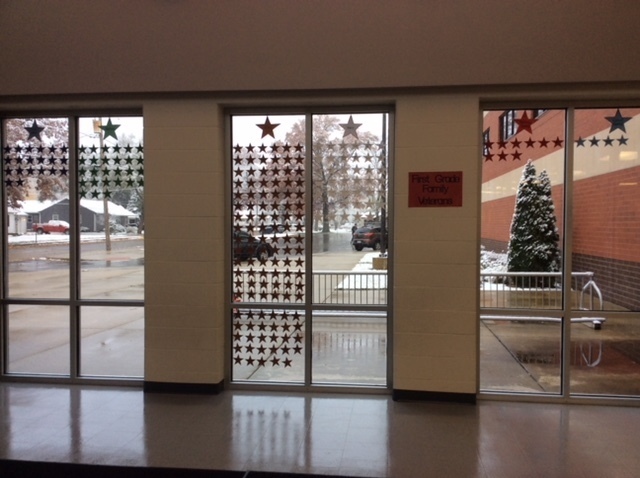 From the first grade denoting family members who have served or in the current military with stars in the North Campus lobby (see photos), to the older students writing thank you’s and sending care packages to current military members serving. It is important to demonstrate that sincere gratitude to our service members. 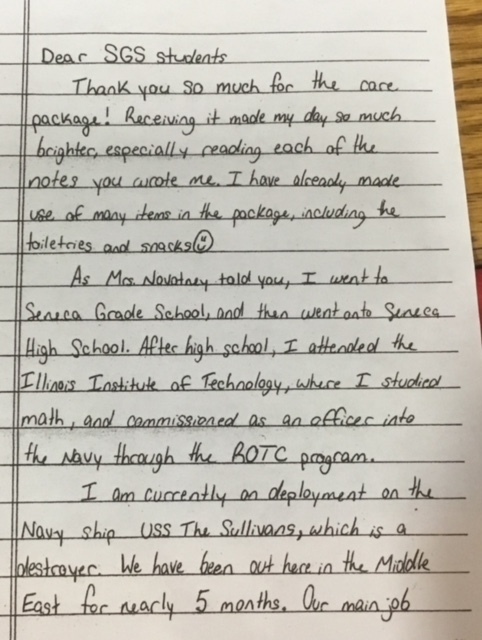 Recently a former student from SGS, was a recipient of letters and and a care package sent from the fifth and sixth grade Health classes. 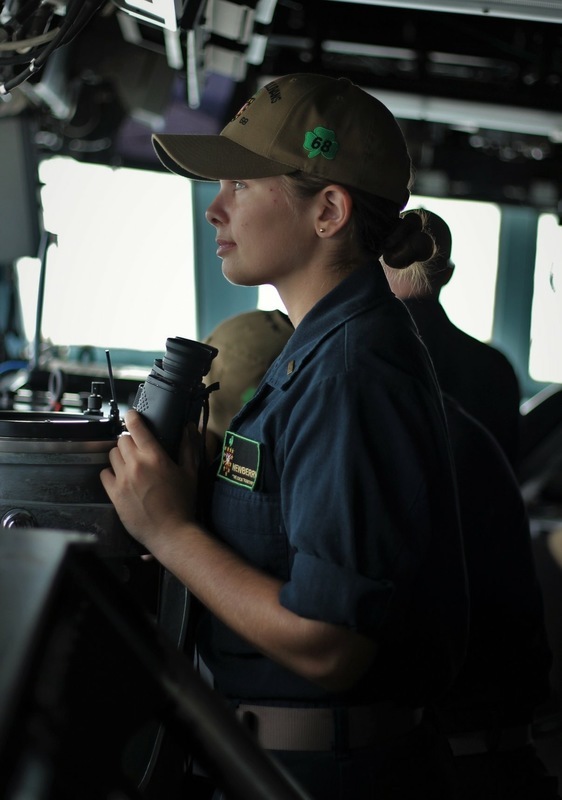 Ensign Jacquelyn Newberry is currently on the USS Sullivan's. 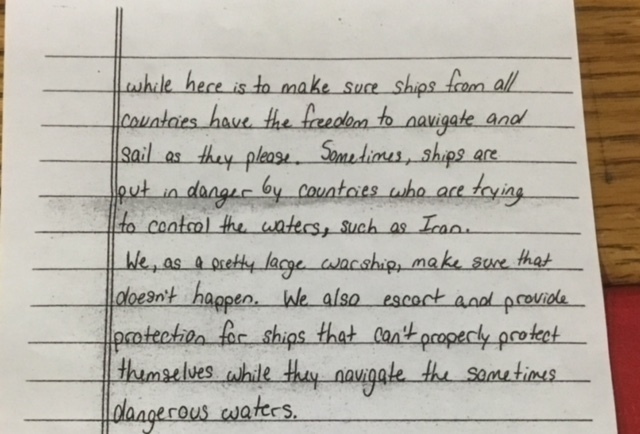 The major assignment for this ship is to provide safe passage for ships in the Middle East waterways. 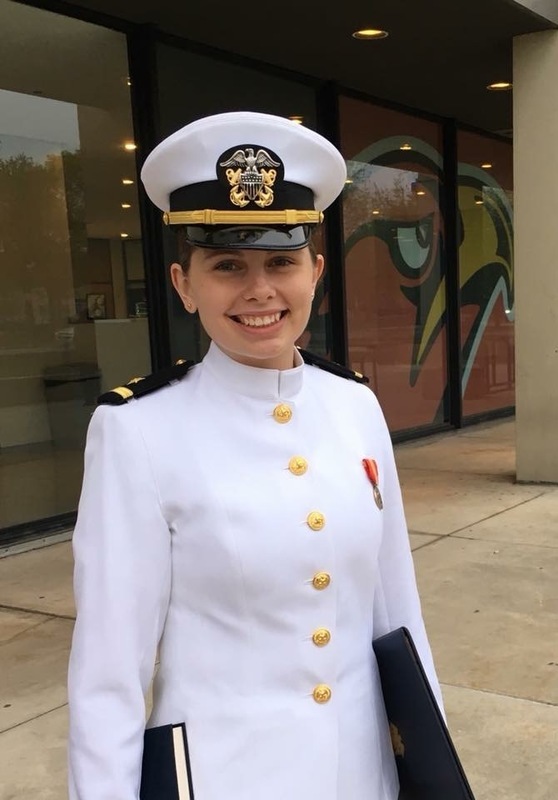 Ensign Newberry sent a 4 page thank you (written on a notepad from her care package) delineating her ship’s service responsibilities. (See photos - part of actual letter). 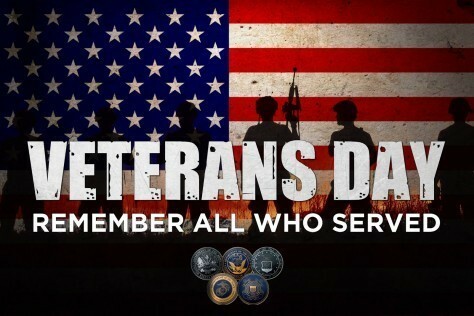 It is with great gratitude and pride that SGS says ‘thank you’ and ‘we remember you’ especially on this Veterans Day Weekend and always.